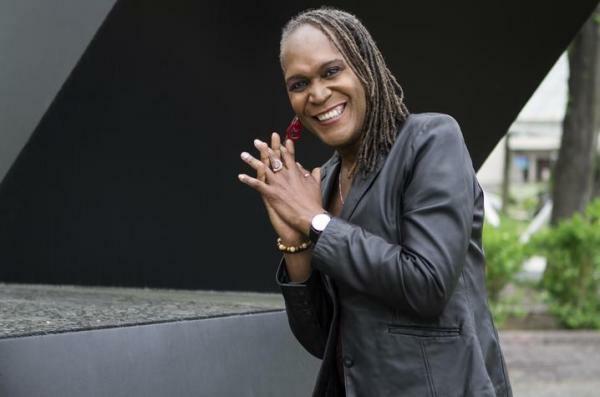 Andrea Jenkins, who made history last November as the first openly transgender black woman elected to public office in the U.S, will join Garth Greenwell, a native Kentuckian and author of "What Belongs to You," as keynote speakers at the second annual Kentucky Gender and Women’s Studies Conference. The conference takes place on Sept. 8, in the Bill Gatton Student Center at the University of Kentucky. Registration is free for UK students, faculty and staff. The public is welcome to attend and can register in advance or on-site the day of the event. Jenkins, who was elected to serve on the Minneapolis City Council, is a writer, performance artist, poet and transgender activist. She developed her reputation for addressing youth violence and improving neighborhoods. Jenkins is a nationally and internationally recognized writer and artist, a 2011 Bush Fellow and the recipient of numerous awards and fellowships. She holds a bachelor's degree in human services from Metropolitan State University, a master's degree in community economic development from Southern New Hampshire University and a MFA in creative writing from Hamline University. Garth Greenwell is the author of "What Belongs to You," which won the British Book Award for Debut of the Year, was longlisted for the National Book Award and was a finalist for six other awards, including the PEN/Faulkner Award, the James Tait Black Memorial Prize and the Los Angeles Times Book Prize. His novella "Mitko" won the Miami University Press Novella Prize and was a finalist for the Edmund White Award for Debut Fiction and a Lambda Literary Award. His short fiction has appeared in The New Yorker, The Paris Review, A Public Space and VICE, and he has written criticism for The New Yorker, the London Review of Books and the New York Times Book Review, among others. Greenwell is a graduate of the University of Iowa Writer’s Workshop where he was an arts fellow. Workshops and panels are hosted throughout the day at the conference. Topics include the power of the #MeToo movement, self-care, food justice advocates, white supremacy, roots of reproduction and many others. Presenters and moderators are from UK, organizations across the state and universities across the country including University of South Florida, Indiana University Bloomington, University of Michigan, University of Cincinnati, City University of New York (CUNY) – John Jay College of Criminal Justice and the School of the Art Institute of Chicago. For more information and a schedule of events, visit the website for the Kentucky Gender and Women’s Studies Conference.